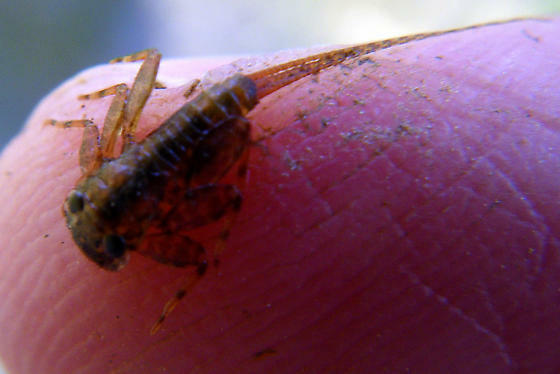 The specimen was found under a rock in North Bear Creek. Several of this type were found but this was one of the largest. It has three tails. Maccaffertium and likely vicarium based on the shovel shaped head the orange unbanded tails and the black transverse band crossing over the 10th tergite. Katie has correctly identified this mayfly nymph as being a of family Heptageniidae, and I further suspect it to be of genus Maccaffertium.